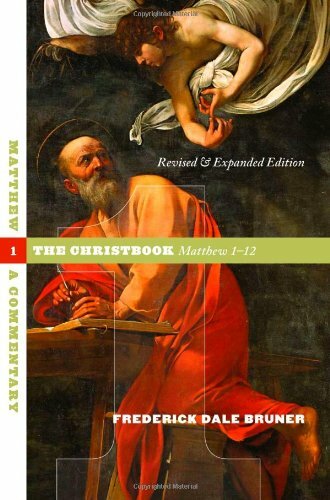 I’ve said this before, but Frederick Dale Bruner’s commentary on Matthew, The Christbook, is a masterpiece. In fact, I wanted to preach a new series on the Gospel of Matthew in part because I wanted to explore Bruner’s commentary more deeply. One angle of my new series will be to explore the relationship between God’s law and the gospel. I had an intuition that Bruner could help me with this—and so far so good. † Frederick Dale Bruner, The Christbook: Matthew 1-12 (Grand Rapids, MI: Eerdmans, 2004), 91-2. This entry was posted on	January 9, 2017 at 1:29 pm	and is filed under Uncategorized. Oh how important this is! When I talk about the fact that we all sin, I cannot tell you how many people tell me “Sure, I’m not perfect, but I think I’m a lot better than most people, and I think God knows that”. When you try to tell them that that isn’t the point at all, they either get defensive or shut down. 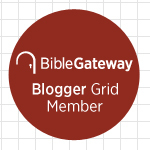 Personally, since I confronted the truth about my own sin, I have to constantly remind myself that God will indeed forgive me nonetheless, and thank Him for Grace upon Grace. Sin scared the hell out of me. Literally! I had a similar experience. Thanks, Grant.